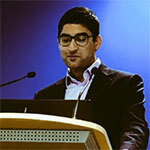 Viral Kantaria is Senior Programme Manager in NHS England’s Adult Mental Health Team. He used to be a policy lead for mental health crisis care and legislation at the Department of Health. He has been a member of the Mental Health Act Review’s Working Group. You can follow him at @ViralKMH.